Now You're Talking w/ Marshall Ramsey: Dawn Dugle- Telling the BRAVO Story! 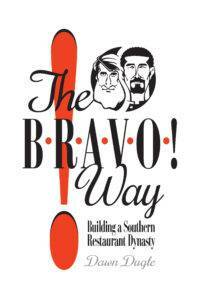 Our guest today is Dawn Dugle, an award-winning storyteller and writer who travels the country teaching businesses and non-profit organizations how to tell and share their stories and she’s here today to share her new story, The Bravo Way: Building a Southern Restaurant Dynasty. We’ll speak with Dawn and find out why she wanted to tell the story of Jeff Good and Dan Blumenthal and their business. Plus we’ll talk about the latest headlines in the weekly roundup.